Pesticides alone, or the use of any single method, will not eliminate bed bugs. Pest Away utilizes multiple necessary methods as part of its highly evolved bed bug strategy. We are proud to provide tailor treatment to our clients with more complex situations when the infestation is in multiple units or facilities like apartments, shelters, dormitories, group homes and hotels. Controlling bed bugs is a difficult, costly and time-consuming process. However, bed bugs can be eliminated with a coordinated effort that includes cooperation of the residents, landlord and/or property management. There is no single tool or activity that, used alone, will eliminate bed bugs, including pesticides. 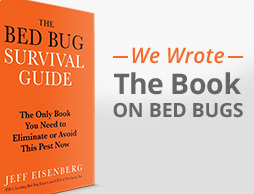 Multiple techniques are always required because bed bugs are small, good at hiding and can live without feeding for up to a year and a half. In some cases, bed bugs are resistant to the pesticides used against them, meaning that many will survive treatment. The reduction of household clutter is absolutely necessary for fighting bed bugs. 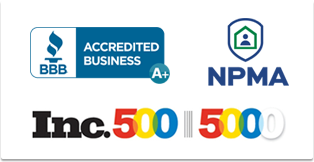 Despite the challenges, Pest Away has diligently worked to maintain cutting edge techniques via training, experience, knowledge and innovation. It is crucial to do everything possible to avoid spreading bed bugs to new locations. It’s important to consider that a bed bug infestation in a living area (bedroom, apartment, dormitory room, shelter room or unit) might spread to adjacent units or those located below, above or to the sides. This is especially true if the population is high or if pesticides are used in the original unit. Adjacent units should be inspected and if bed bugs are found or residents notice bites, they should be treated as if infested.